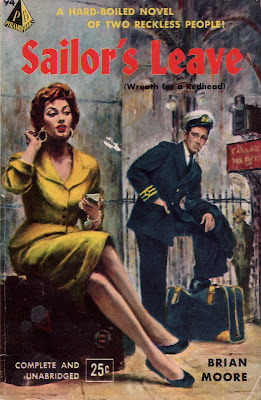 Writing my first post, I was reminded that Wreath for a Redhead is not the only Brian Moore novel to have appeared under another title. In the 'sixties and 'seventies, The Feast of Lupercal (1958) was being published as a Panther paperback under the insipid A Moment of Love. I'm not alone in having been annoyed when The Colour of Blood (1987) was published by McClelland and Stewart - "The Canadian Publishers" - as The Color of Blood. And then there's Judith Hearne (1955), which appeared as The Lonely Passion of Judith Hearne when first published in the United States. The American title has been with us ever since, and was used in the 1987 movie starring Maggie Smith. So, how to explain this oddity, the first Penguin edition? 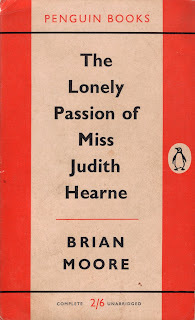 The polite form of address - Miss Judith Hearne, if you please - features on the front cover and title page, but the spine clearly reads The Lonely Passion of Judith Hearne Curiously, the book refers to itself twice as simply Judith Hearne in the cover copy. Judith Hearne, The Lonely Passion of Judith Hearne, The Lonely Passion of Miss Judith Hearne - indications of an indecisive publisher perhaps? Robertson Davies interrupted his work on Fifth Business to write this long essay, 49 pages in length, for McClelland and Stewart's Canadian Writers series. 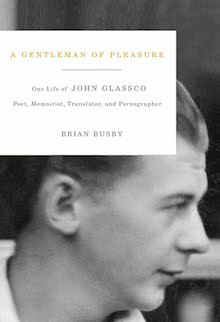 It is, I think, the most honest and realistic appraisal of a gifted, prolific author who "often wrote when he would have done better to wait for an idea". Biographer Judith Skelton Grant tells us that the project was approached with reluctance, yet it would seem that Davies was pleased with the results; awaiting publication, he offered to send copies to several correspondents. I suspect he never did. 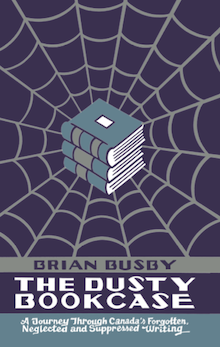 The finished book was a disgrace: sections of text were missing, words had been substituted, one paragraph began in mid-sentence and a lengthy list of typographical errors caught by Davies at the proof stage had been ignored. "The Leacock book is such a mess that I am ashamed to speak of it to my friends and could not dream of recommending it to my students", he wrote the publisher. McClelland and Stewart quickly reissued Stephen Leacock, incorporating the author's corrections. 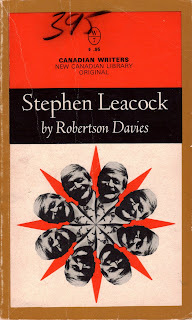 The proper text later served as the Introduction to Feast of Stephen, a collection of lesser-known Leacock pieces selected by Davies (clothed in a dust jacket better-suited, perhaps, to Joe Rosenblatt's The LSD Leacock). 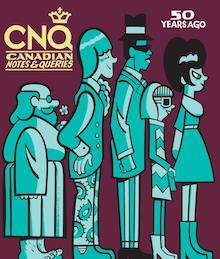 Object and Access: A cheaply produced subseries of the New Canadian Library, Canadian Writers is pretty well forgotten today. That said, it did include a few fairly interesting titles, most notably Mordecai Richler by George Woodcock and the highly collectable Leonard Cohen by Michael Ondaatje. I dare say, Davies' Stephen Leacock is the best of the lot - and a bargain to boot. 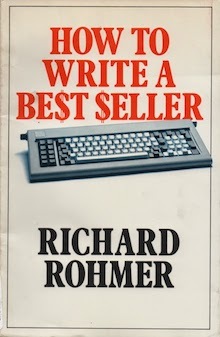 My well-read copy was lovingly priced by a Vancouver bookseller at C$3.95, though it can be found for even less. 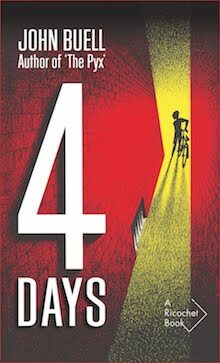 As with any book published with the student in mind, the trick is to find a copy that hasn't been coffee-stained, highlighted or underlined. The first printing is readily identifiable by glancing at the back cover: Samuel Marchbanks' Almanack is identified as "Marchbank's Almanack", just one of the errors that so angered the author.